​Dr. Schermer received his BA and medical degree from the University of Michigan. Following his internship at the University Hospital in Ann Arbor, Michigan, Dr. Schermer spent two years in the US Public Health Service where he was Chief of Staff at the Sells Indian Hospital in Arizona. He completed his residency at UC Davis and has been practicing in Sacramento since 1976. Over 15,000 patients have entrusted their eye care to Dr. Schermer. He has performed thousands of cataract operations. ﻿Dr. Schermer's wife is a retired attorney who is an adviser to the practice. The Schermer family consists of two wonderful sons and four grandchildren. Dr. Schermer is very much interested in improving the overall delivery of healthcare and is a member of California Physicians Alliance and Physicians for a National Health Program. He is ranked as a "leading physician" by ﻿HealthGrades.com﻿, a Web-based service that provides report cards on doctors and medical facilities. 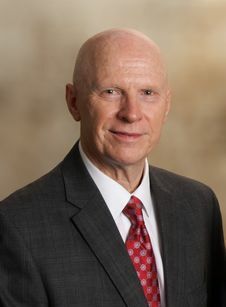 Dr. Rogers received his Bachelor of Science degree from State University of New York, New Paltz, and his Doctor of Optometry from the Illinois College of Optometry in 1979. He has been practicing Optometry in Sacramento since 1981, and he joined our practice in 2000. Dr. Rogers has extensive experience with almost all types of contact lenses, and he is an expert in determining the refractive properties of the eye. In his spare time, Dr. Rogers enjoys travel, skiing and sailing. 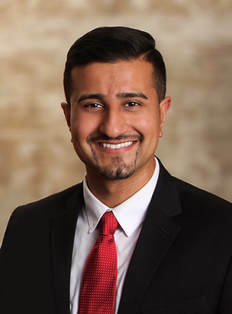 Dr. Patel joined us in July 2017. He was already familiar with the office and many patients after being an outstanding intern during the winter of 2016. ​He is a native of Sacramento and attended UC Davis for his undergraduate studies, where he graduated with honors. He is a comprehensive optometrist who received his Doctor of Optometry degree from The Southern California College of Optometry. While he was earning his doctorate, he served in a variety of leadership roles, including Class President. During his fourth-year, he was awarded the Larkin Scholarship for excellence in ocular disease. Dr. Patel is able to perform eye examinations in English, Spanish, and Gujarati. Dr. Tiffany Phan joined us in July of 2018. She is a native of Elk Grove and a graduate of Franklin High School. Dr. Phan received her Bachelor of Science degree in Biochemistry and Molecular Biology from University of California, Davis and her Doctor of Optometry degree from Southern California College of Optometry. While earning her doctorate, she held many leadership positions, previously serving as University Secretary, Community Health Chair, and Class Secretary. Dr. Phan completed her residency in Ocular Disease, Primary Care, and Low Vision at the Veteran Affairs Southern Health Care System in Las Vegas, NV. She has extensive experience in managing glaucoma, diabetic retinopathy, macular degeneration, and ocular emergencies. Dr. Phan is able to perform eye examinations in English, Vietnamese, and Spanish. ​In her spare time she enjoys hiking, traveling, cooking and playing the piano. ​Dr. Warren was born and raised in Northern California and has been helping the eyes of the Greater Sacramento community since 1979. After attending UC Davis for undergraduate studies, he attended medical school at UC Davis School of Medicine and completed his fellowship & residency there as well. 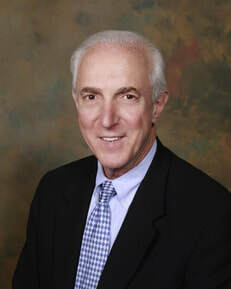 He has been in private practice since and enjoys every minute of patient care. Dr. Warren has been involved in many medical committees and has held many leadership positions during his career. He is currently an active member of the Alta Ophthalmological Society.